We love the Hydro Flask Double Wall Vacuum Insulated Stainless Steel Sports Water Bottle (with BPA-free straw lid). 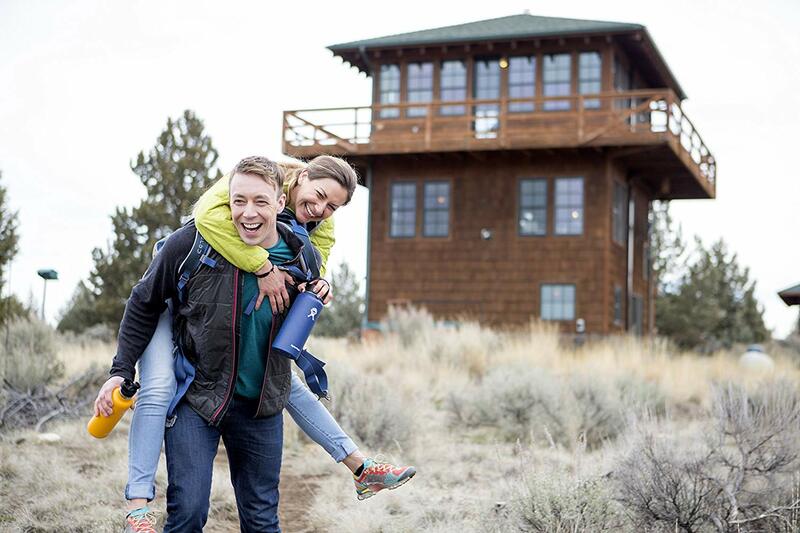 The Hydro Flask brand has become the most popular in the insulated water bottle space. At one of the highest price points, this bottle is for the consumer that is looking for the cool factor and has the ability to splurge. Read our full Hydro Flask review to see if this is the insulated water bottle for you. Hydro Flask is one of the most well-known and popular companies for insulated water bottles. Our full Hydro Flask review will highlight the most important thing you need to know about these water bottles. Hydro Flask is by far the most popular insulated water bottle. If you ask a bunch of people which brand you should get, you might find that several of those people suggest Hydro Flask. These water bottles are popular for good reason, too. It’s a solid bottle with a strong 100% money-back guarantee. 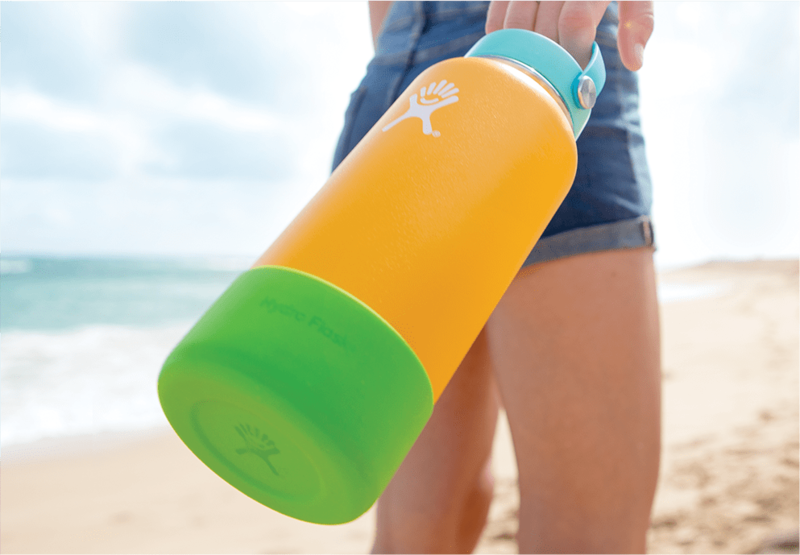 This model has multiples sizes to choose from (32 oz, 40 oz, 64 oz) as well as wide range of colors, including gorgeous Mango and the beautiful blue Pacific. There truly is something for everyone with Hydro Flask. 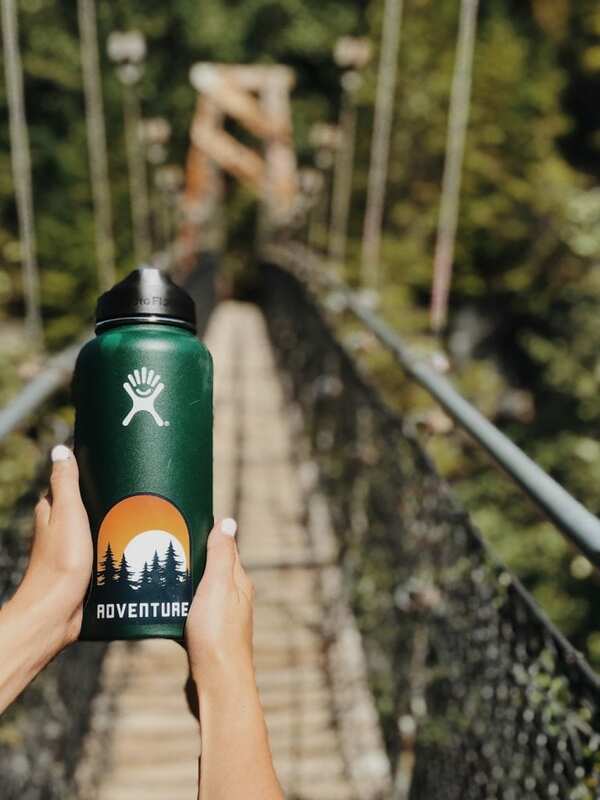 The Hydro Flask has a simple, basic design, but there are a few nifty features about the bottle that may not be apparent at first sight. The wide mouth for proper chugging is a great feature. The bottle also comes with a powdered coat for an optimal grip that also incorporates TempShield technology (minimizes the forming of condensation). Also, the finger loop is a convenient feature that makes it easy to clip your bottle to a bag. If you get the 64 oz, you’ll have all the water you need in a day within easy access. Hydro Flask has a great warranty in place. It offers a 100% money-back guarantee if you’re unsatisfied with the purchase within 30 days. The company will also replace parts that are defective from normal use, which is important when you’re investing in a premium water bottle. Great customer service: Because this company has been able to build such a strong brand name, their customer service is solid. Most popular brand: If you’re looking for the most trusted and popular insulated water bottle, then you have to go with Hydro Flask. 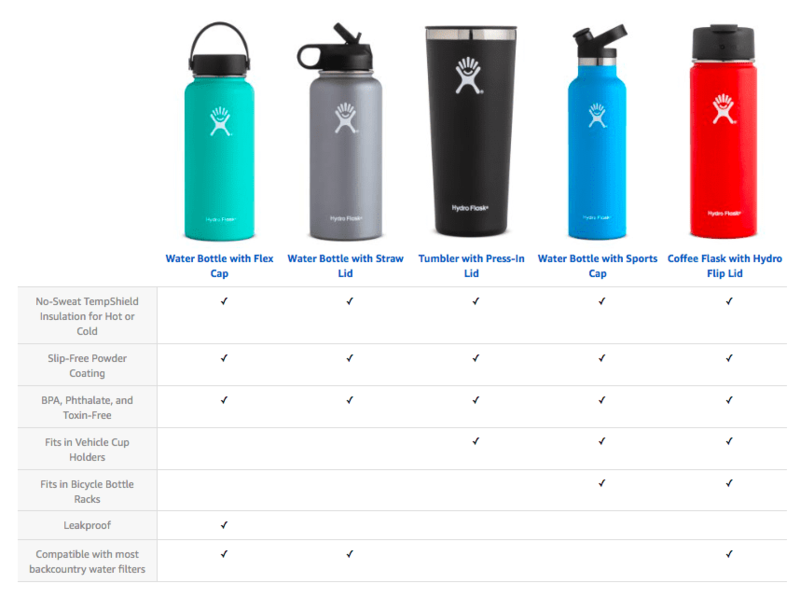 Multiple options: Hydro Flask offers a lot of options for people who like to have a bottle that fits their personality and interests. You can choose from several different colors and sizes to pick the best insulated water bottle for your lifestyle. Strong warranty: If you want to be sure your bottle will last for as long as it should, a warranty can give you peace of mind. You can get parts replaced if any parts are defective, and if you decide that you don’t like your water bottle in the first 30 days after purchase, you can return it for a refund. TempShield technology: This technology reduces condensation and provides a stronger grip. High price point: The biggest negative of the Hydro Flask is the high cost. A lot of consumer Hydro Flask reviews say this is the most expensive water bottle they’ve ever purchased. 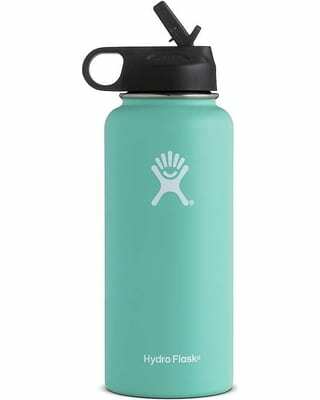 However, with almost 4,000 reviews on Amazon for just this model alone, you know Hydro Flask is doing something right and the cost may be worth it. Not completely leakproof: The Wide Mouth Straw Lid is not entirely leakproof, but that’s because of the built-in straw. 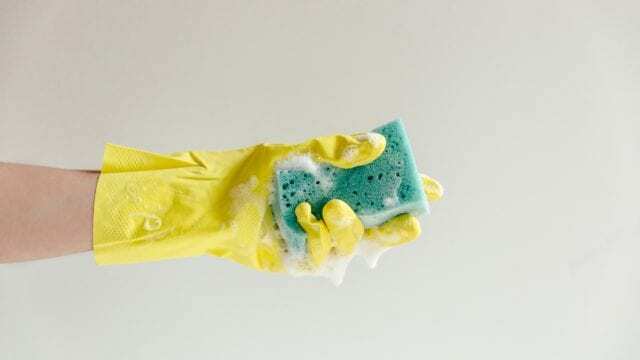 If you need to make sure your bottle is absolutely leakproof, this may not be the best option, but the convenience of the straw may be enough to counteract the downsides of not having it be completely leakproof. Shorter insulation time: This specific model keeps hot drinks warm for around 6 hours, which is less than some of its competitors. Hydro Flask offers many features in this water bottle design. This section of our Hydro Flask review will go over the most important features you should know about this water bottle. Hydro Flask uses TempShield technology, which is the double-walled vacuum insulated technology that reduces condensation and helps your drink to retain its temperature. The powdered coat also helps you hold on to your bottle. The Wide Mouth Straw Lid is two features in one. The first is that it enables you to consume beverages quickly, but it also has a finger loop which allows you to clip your bottle to your pack. The bottle is also free of BPA, and the wide mouth makes the water bottle easy to clean. 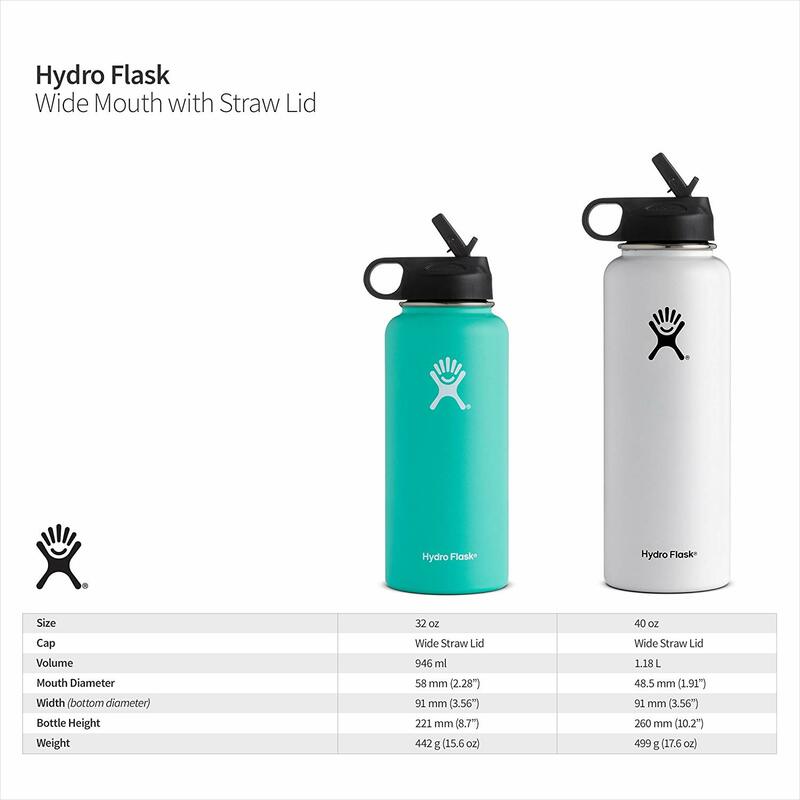 Hydro Flask has a wide range of models. Below are a few of the variants. What makes this bottle different than the one featured in this Hydro Flask review is that it’s leakproof because of its screw-on top. We like the convenience of the built-in straw in the model we chose for our larger review, but the flex cap version is great for people who want a completely leakproof insulated water bottle. This is a good model if you’re looking for something that can fit into your vehicle cup-holder. Unlike the bottle we highlighted, this bottle will fit into your vehicle cup holder and a standard bicycle rack. The Coffee Flask is a great pick for the coffee drinker. This size also fits into your vehicle cup holder and a bike rack. This model is sized to the perfect cup of coffee (12 oz, 16 oz, 20 oz). After our full Hydro Flask review, we feel that the Hydro Flask Stainless Steel Water Bottle With Straw Lid is a great choice for the traveler who needs a larger bottle size with a convenient built-in straw and finger loop for easy carrying. We also feel like this bottle is great for anyone who needs a reliable insulated water bottle. Overall, there’s a reason the Hydro Flask is the industry leader. It’s a bottle that’s built to last and is backed up by a great manufacturer warranty. Even at the high price point, a Hydro Flask water bottle is a good investment that will save you money in the long run. You’ll spend less money on single-use plastic water bottles, minimize your plastic footprint and protect your health. If there’s a good thing to splurge on, it’s this. You can learn more by visiting HydroFlask’s website or its Amazon page. Have you used this water bottle? If so, use your own Hydro Flask review below.